I recently wrote an article for Multiphysics Simulation, an insert to IEEE Spectrum magazine, where I described a project conducted by the global engineering consulting firm, POWER Engineers (POWER). During the project, POWER used multiphysics simulation to study corona discharge in power lines and their associated assemblies. The aim of the project was to determine if and where corona discharge occurred. Above a certain voltage, energy loss, electromagnetic (AM) radio interference, audible noise, and possible erosion of materials can occur. Using simulation to predict where corona discharge is likely to happen prior to the physical testing of hardware can, therefore, be highly beneficial for manufacturers and transmission owners. For decades, electrical engineers have been studying the performance of in-service equipment and conducting rigorous testing in order to optimize transmission lines. 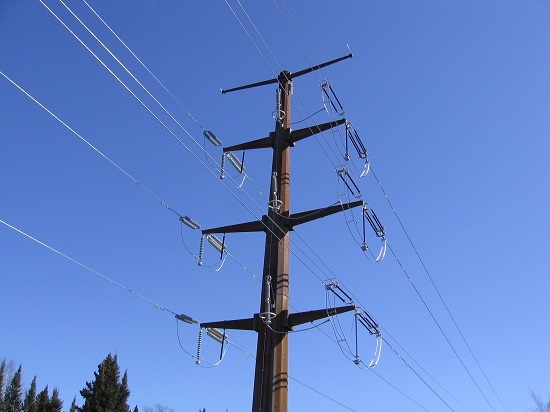 Because such extensive data exists on transmission line equipment, POWER was able to use this data to build accurate simulations to quickly test the viability of new equipment. Working on a project for a Midwestern utility company, Jon Leman, Senior Project Engineer at POWER, modeled the corona discharge produced in a dead-end insulator assembly. These assemblies are high-tension mechanical linkages used to insulate energized conductors from grounded support structures at locations where the power line either turns or terminates. A power transmission line with three phases, each with two associated dead-end assemblies. As I mention in the article, the dead-end assemblies proposed in the study were built for use with special 345 kV transmission line equipment. Specifically, the equipment in question was engineered to withstand a multitude of harsh conditions, such as high winds and ice accumulation. One way that this is achieved is by twisting together a set of two cables. Instead of the smooth face that a single, cylindrical cable would present to the wind, the twisted cables, used in such conductors, have a continuously varying profile that helps minimize icing airfoil effects and prevent conductor galloping. 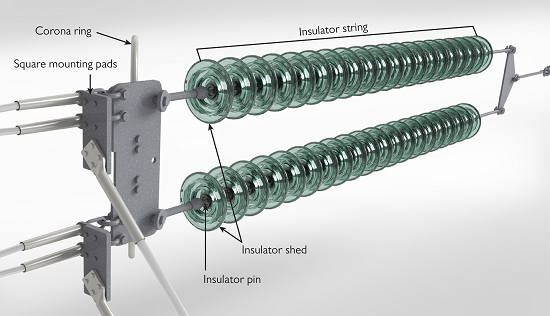 A CAD drawing of the dead-end assembly studied in this project is shown in the figure below, where an insulator string provides mechanical insulation between the live conductors and the utility pole. CAD representation of a dead-end insulator assembly. One of challenges Leman and his team faced was how to construct an accurate simulation of the dead-end assembly without modeling details that would have led to a lengthy solve-time and compromised the model’s efficiency. Leman and his team solved this problem using a few different techniques. First, instead of modeling all three phases of the transmission line, Leman determined that modeling a single phase would still provide accurate results since the spacing between phases was larger than the distance between the energized portion of the dead-end assembly and the grounded end of the assembly. Next, Leman decided that by analyzing the electric potential along the insulator string using a 2D axisymmetric model, he could determine the effective voltage present on the cap of the last unit of the insulator string (shown in the image above and plot below). Then, when preparing the 3D model of the assembly, he could construct a lean simulation by including only the last unit of the insulator string. With this information, Leman and his team were able to set up a reasonably accurate simulation without having to introduce the computational burden of the insulator string’s complex and repetitive geometry. 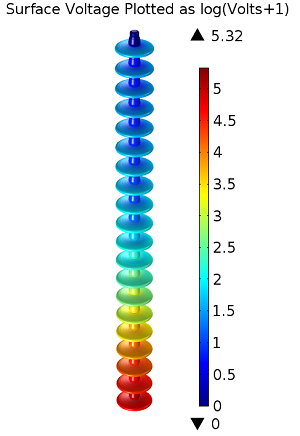 2D axisymmetric model of the insulator string showing the electric potential distribution. 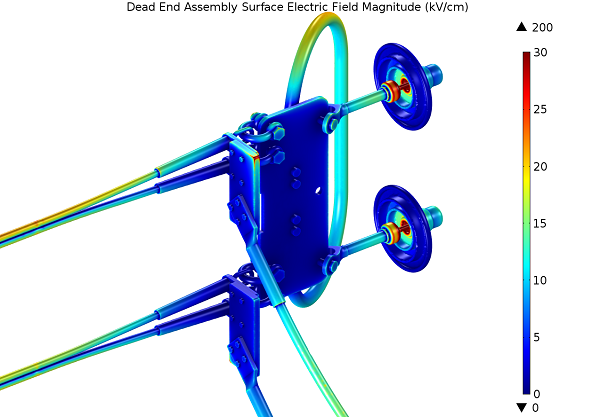 Next, POWER created a simulation of the electric field strength along the surface of the dead-end assembly using the previous results as a boundary condition for the single insulator cup modeled. Using custom postprocessing based on data gathered from the field testing of similar conductors, Leman was able visualize the areas that were likely to experience harmful corona discharge. Corona discharge occurs because of a combination of electric fields, device geometry, atmospheric conditions, and the surface condition of the conductor. Leman’s model was able to take this complex phenomenon and predict the results of a dead-end assembly that had not yet undergone physical testing. Electric field strength at the surface of the dead-end assembly. To learn more about the modeling techniques employed by POWER Engineers, check out the full-length story, “Enhancing Transmission Line Performance: Using Simulation to Optimize Design” in the magazine Multiphysics Simulation, which is published as an insert to IEEE Spectrum. Visit the POWER Engineers website to learn more about the engineering solutions offered by this worldwide consulting company. Good day! 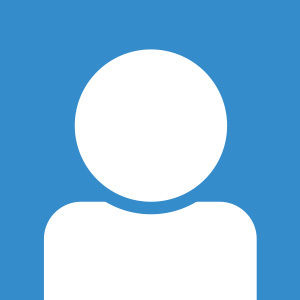 Can I get a .mpx file for detailed consideration? I want to study this process in detail. I would be very happy if you help me in this matter! The models featured here are the work of a firm called POWER Engineers. You can learn more about them and their work via the links above.